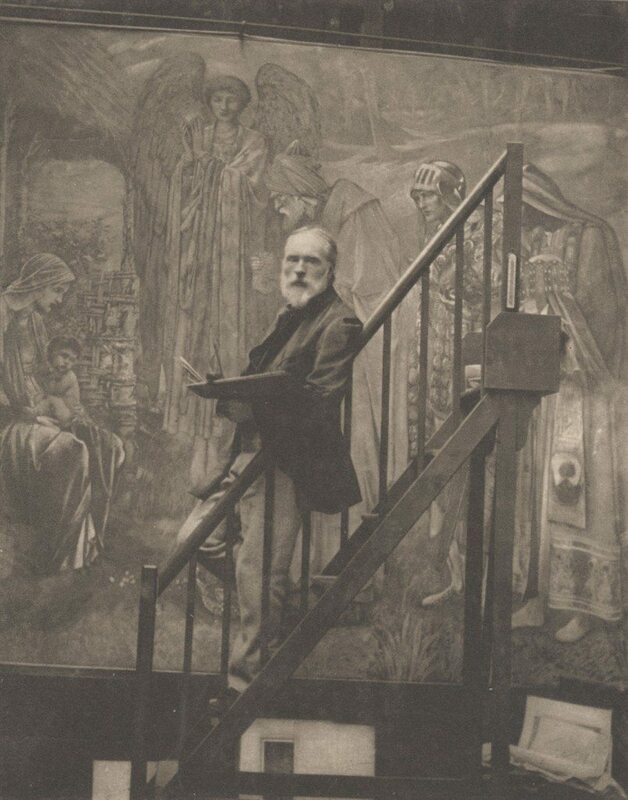 Image: Edward Burne-Jones in garden studio aged 57 from a photograph by Miss Barbara Leighton. 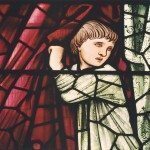 Edward Coley Burne-Jones was born in 1833 in Birmingham at 11 Bennett’s Hill and he was baptised in St Philip’s Church. 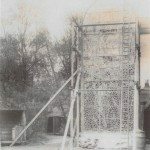 His father was a carver, framer and gilder. 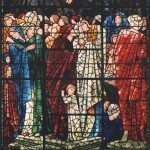 Burne-Jones developed his artistic sensibility by observing his father’s trade. 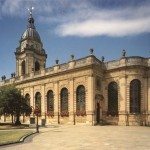 He attended King Edward’s Grammar School in New Street and went to Oxford University to study for the church. 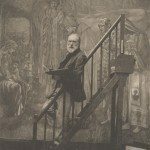 There he developed a lifelong friendship with William Morris and both men became artists. 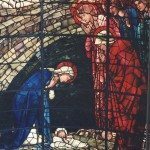 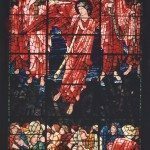 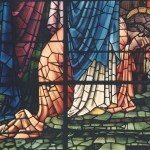 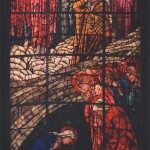 Burne-Jones was a painter, but he also created stained glass. 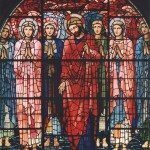 The four Burne-Jones windows in St Philip’s Cathedral, Birmingham were designed for two separate commissions between 1885 and 1891. 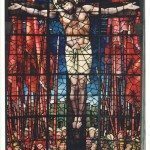 They depict three scenes from the life and death of Christ, the Nativity (1885), Crucifixion (1887) and Ascension (1887) and the Last Judgement (1897). 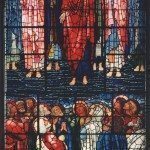 The images are striking not just for their size, colour and design, but for their theological interpretation. 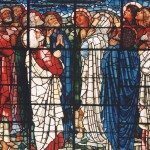 Burne-Jones concentrates on Christ’s humanity and the human figures of the family of Jesus, his disciples and other participants who populate the images. 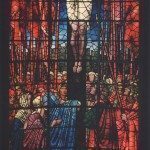 The artist rejected the damnatory and judgemental aspects of Church teaching, so there is no scourging or bleeding in the Crucifixion or hellfire images in the Last Judgement. 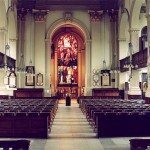 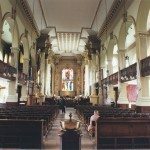 The windows were installed after the enlargement of St Philip’s in 1884 and before it became a cathedral in 1905. 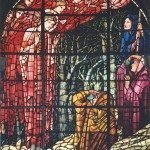 Sir Edward Burne-Jones was knighted in 1894 and died in 1898.